Heidi Sand knows how it is to accept a seemingly hopeless fight. “Since my cancer, I have a special relationship with probabilities and chances”, the 49-year-old German climber and sculptor write to me. “You have to believe in yourself and you should use any chance, no matter how small it is.” In 2010, Heidi was diagnosed with colon cancer at an advanced stage. She accepted the fight. 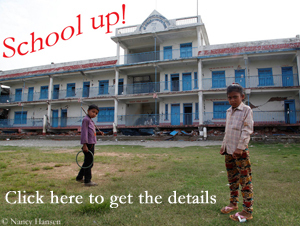 Two years later, she climbed Mount Everest. 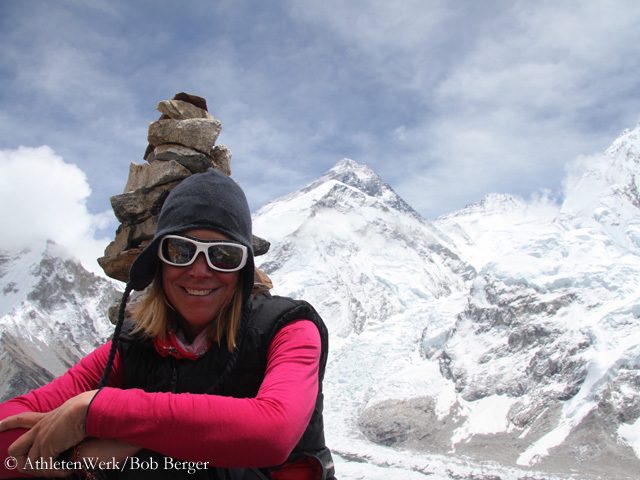 In 2013, she summited Cho Oyu, her second eight-thousander. 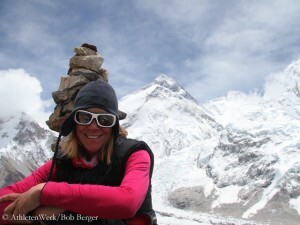 The following year, Sand and Billi Bierling were the first German women on top of Makalu. Now Heidi is committed to a climate protection project called “25zero”. 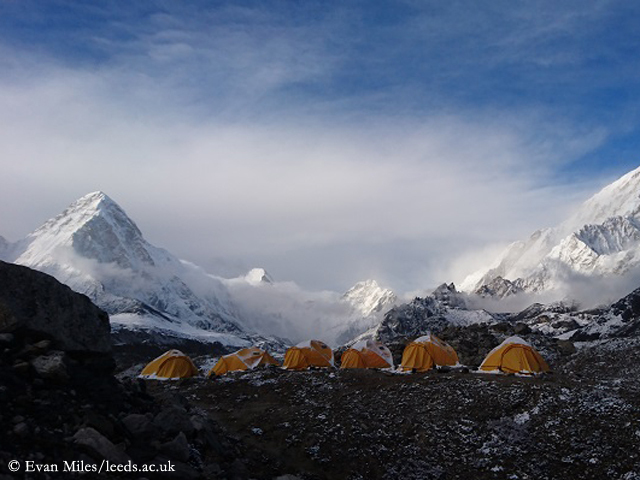 During the upcoming climate summit in Paris, the Australian adventurer Tim Jarvis and his team want to point out the consequences of climate change for 25 still glaciated peaks at zero latitude, around the Equator. If nothing is done, says Jarvis, no ice or snow will remain on these mountains at the latest in 25 years – therefore “25zero”. 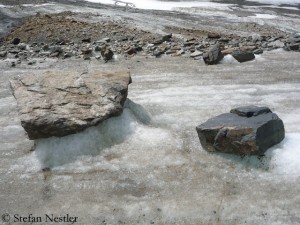 Nepal has a problem with its glaciers. 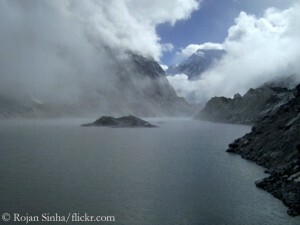 Over the past three decades, the 3808 glaciers in the Himalayan country have shrunk by about a quarter. 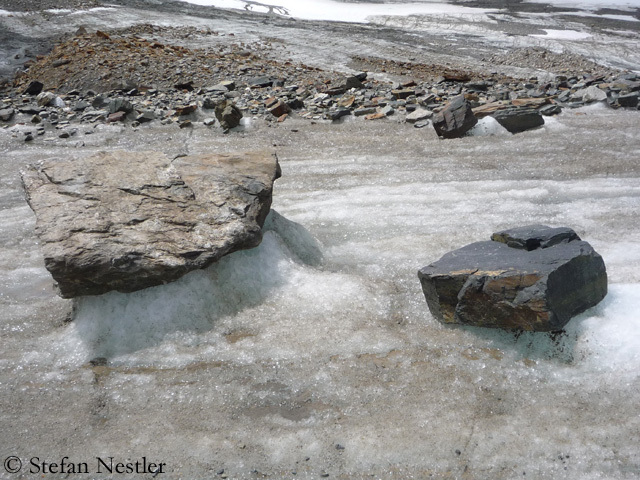 The increased melt created some glacial lakes which scientists call ticking time bombs. One of the biggest of them, Tsho Rolpa, which is located about 100 kilometers northeast of Kathmandu, is estimated to contain between 90 and 100 million cubic meters of water by now. If the natural dam burst, it would have devastating consequences. This week, the Nepalese capital is hosting an international conference, during which more than 200 scientists from around the world exchange their findings about the impact of climate change on the high mountains of Asia – not only on the the Himalayas, but also on Karakoram, Hindu Kush, Tien Shan, Pamir and the Tibetan plateau.